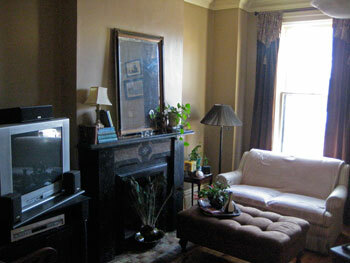 Heidi Harendza has always loved the historical aspect of homes. So when she moved to Columbus from the East Coast, it was only natural for her to fall in love with a home in German Village. She looked at homes in the historic neighborhoods in Columbus, but really liked the neighborhood feel of German Village. She says, “I know more people here in six years than I knew the whole time living in New Jersey.” The location of her home is in more of a commercial area which she likes because she has many options for things to do and places to go. One of her favorite places is Yosick’s Artisan Chocolates. Her home is a Fee Simple Condo, meaning she owns it outright. 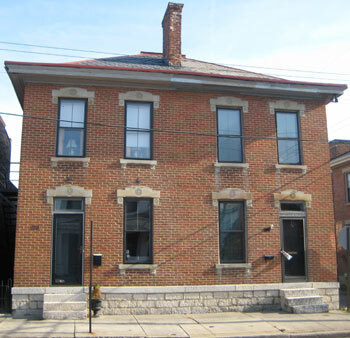 It is 1300 square feet with two bedrooms, one and a half baths and two off street parking spaces – a very desirable feature for German Village! 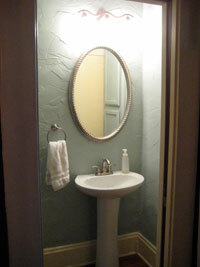 In her six years of owning the home, Heidi has done several pretty big projects. She had the roof redone, restored two entrances, built a bookcase to match the one already in her library, rebuilt the breezeway and recently finished doing a total makeover of her kitchen. 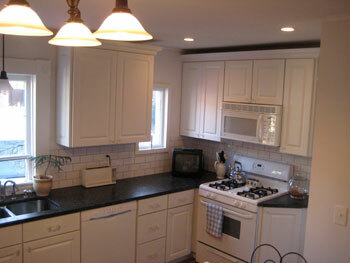 For the kitchen, she moved the doorway, moved appliances, redid the floor and put in new cabinetry. 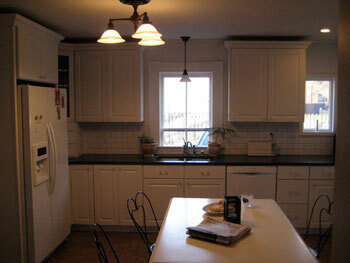 The countertop is a honed granite which has an old look to fit the feel of the house. Her mantra for surviving a kitchen remodel is “preorder and preplan as much as you can.” Really thinking about how the space will work for you in the best way possible will make the finished outcome something you really love. 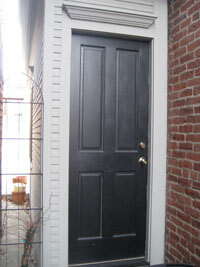 She had a kitchen floorplan drawn up and then worked with Chris Sherman of CDS Construction to execute it. She couldn’t have been happier with the result. Everything in her kitchen is more accessible and easier to do. Even ironing! 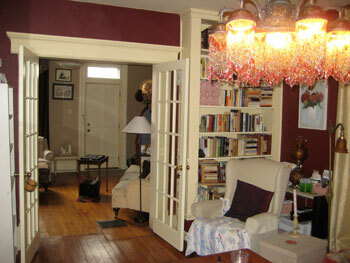 Her style throughout the house is an updated Victorian look. 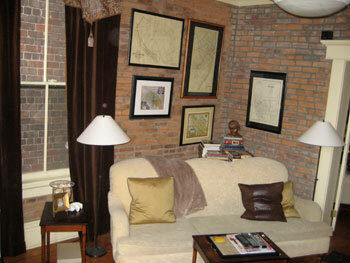 She wants to keep true to the age of the home, but also have it be a comfortable, livable and usable space. 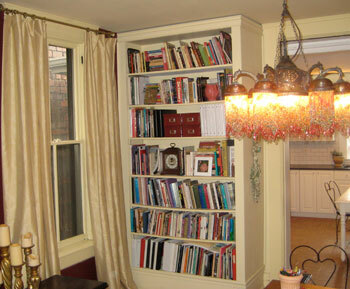 Many of the pieces in her home do double or triple duty to maximize the space. Trunks are also filing cabinets, or tables in a pinch. She admits that decorating this house has been a bit of a challenge because she feels like she will be here for a long time, so things she adds are for good. One of the pieces she recently acquired that she loves and really fits the feel of the house is a red beaded chandelier from Collier West. Her favorite place in her home is probably her bedroom. It is a very comfortable space, and has an excellent view of downtown, which was one of the selling points of the house to her. 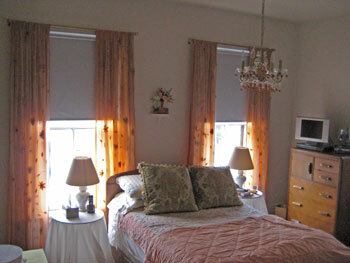 The room boasts two long windows that fill the room with light and make it such a relaxing place to be. Contact information for the contractor for her Kitchen remodel: Chris Sherman, CDS Construction, 188 McDowell St., Columbus, OH 43215, Franklinton Arts District.